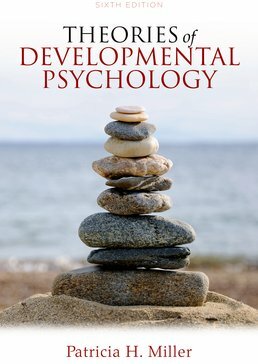 Containing the latest thought and research in the field, Theories of Developmental Psychology helps you comprehend and differentiate between the major theoretical schools of child development. This latest edition includes a new focus on biological theories of development. New coverage of developmental cascade—the effect of a child’s relationship with their parent on their teenage and adult relationships later in life. New discussion of the effect of experience on the brain in regard to language development. New discussion of Piaget’s theories of memory, the cognitive abilities of infants, social and emotional development, in light of current research. New discussion of developmental cognitive neuroscience and the role of new neuroimaging methods. Thoroughly revised contemporary research section. New coverage and research regarding identity development and the influence of racial and economic stratification. New coverage of how culture affects intellectual functioning including the effect of communication technologies. New discussion of research on the development of private speech. New discussion of how perception of intelligence varies by culture. New discussion of sensitivity of social cultural theorists to cultural differences. New discussion of problem based learning in the Applications section. Thouroughly update contemporary research section including new research on collaborative problem solving and cross-cultural research. And three new subsections Social Change elaborating on effects of social and cultural change on development; Immigrant Families exploring the process of development in the context of adapting to a new culture; and current trends in cultural psychological research discussing research aimed at exploring more specific dimensions of culture. Chapter has been fully revised to focus on biological approaches to development including all-new sections (Developmental Neuroscience, Genetics, and Integrated Multilevel Biological Perspectives) with discussion of epigenetic models, neuroimaging, neurogenetics and more. New discussion of moral disengagement in regard to cyberbullying. New discussion of Coercive caretaker-child interactions in early development and effects on later behavioral problems in school. Throughly updated contemporary research section to include to new research on the role of imitation in learning including discussion of discovery of action mirroring, and the mirror neuron system as well as preschooler selective observational learning based on their perceived trust of the person they are learning from. New material on memory research in regard to negative events, for example abuse, and new research on the effects of multitasking on memory. Contemporary research section has been fully updated to discuss executive function, cognitive neuroscience, embodied cognition, Bayesian models, statistical learning, and developmental robotics. Contemporary research section has been fully revised, including new discussion of infants motor development and research advances made possible by neuroimaging. New coverage of theory of mind research, dynamic systems theory, and all new section on Core Knowledge theories.